Suitable for use with Brompton Bikes. 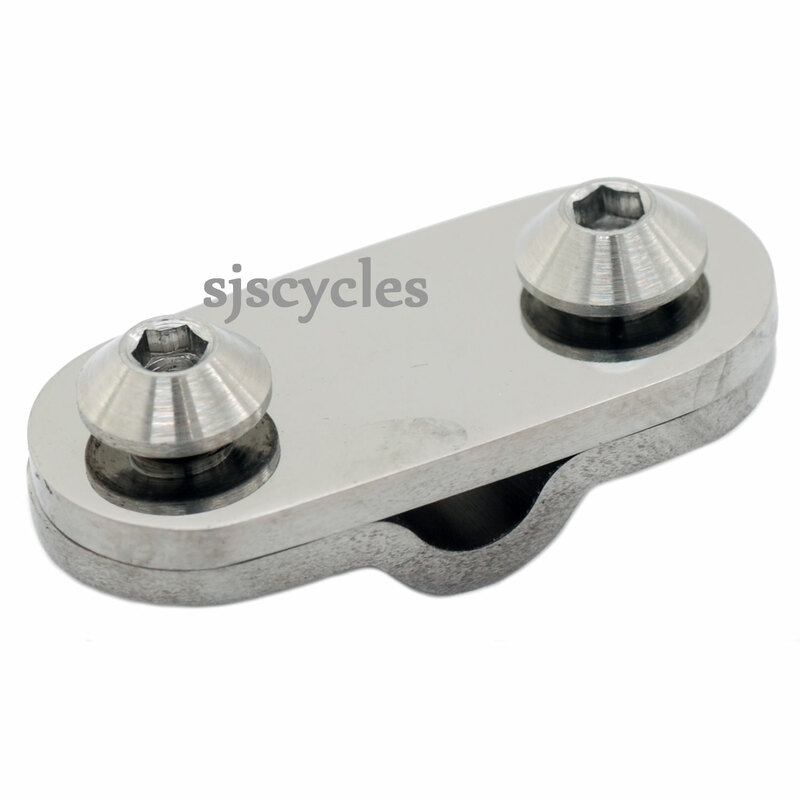 Suitable in place of the Brompton Mudguard Stay Anchor Plates Inner & Outer (Brompton Part # 9017133 / QMGSTAP). Make your Brompton lighter with Ti Parts Workshop titanium components. This Titanium Mudguard Stay Anchor Plate Set saves approximately 4.9g over the original Brompton component. Set consists of the inner and outer anchor plates and bolts for fitting. ProsNice finish. Lightweight. Anti rust. Good quality product! Price is a bit steep for shaving a few grams.